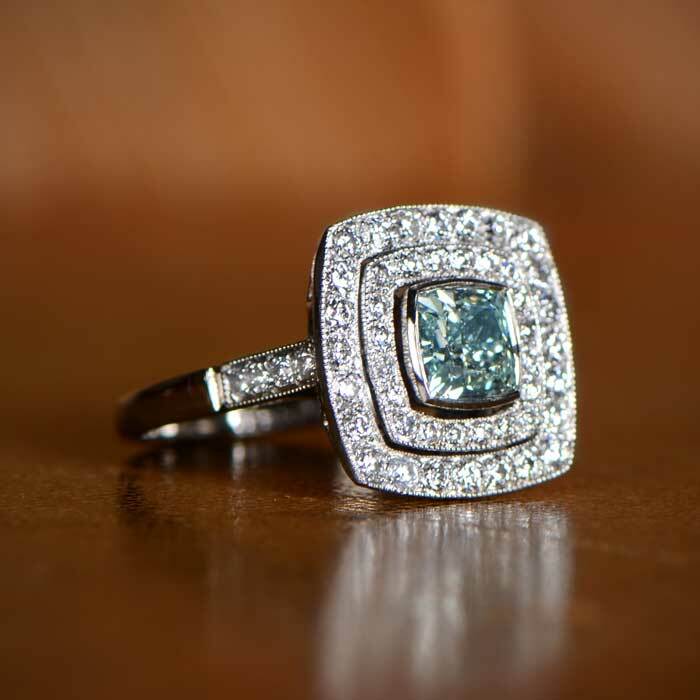 Estate Diamond Jewelry has one of the rarest online vintage jewelry collections in the world. Feel free to shop our rare collection of fine vintage jewelry or schedule an appointment to visit our 5th Ave Showroom. If you have any questions about any of the jewelry, please feel free to contact us. 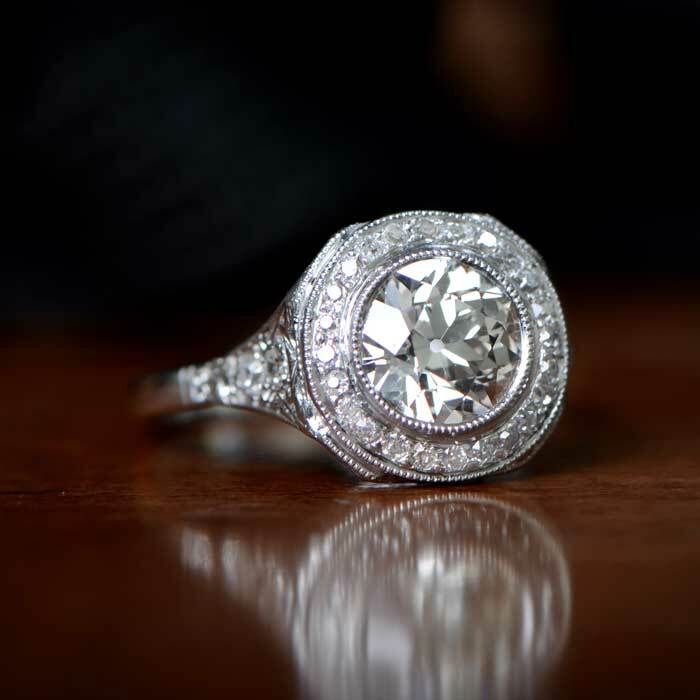 Shop our collection of fine vintage engagement rings. Our rings span through the Victorian Era, Edwardian Era, Art Deco Era and Retro Era. Please feel free to browse through our collection of beautiful and rare estate wedding bands. 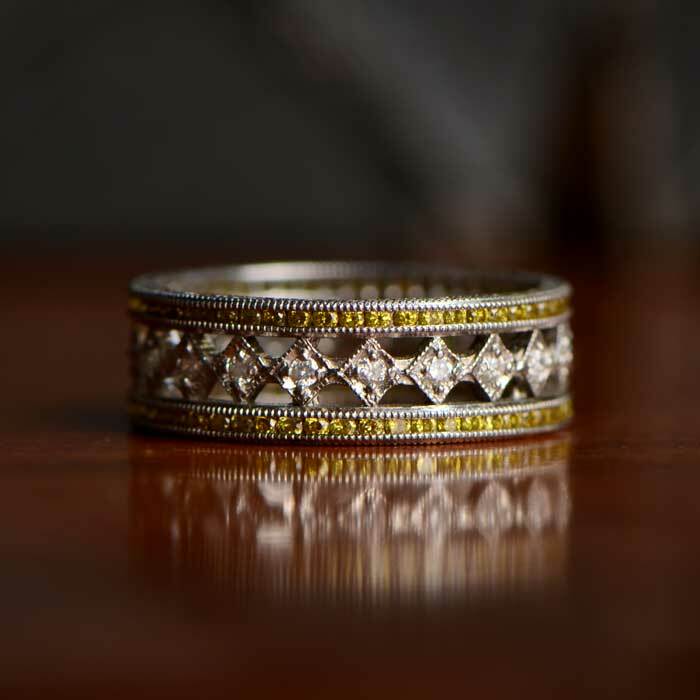 Our fine selection includes rare Art Deco Era and Edwardian Era Wedding Bands. 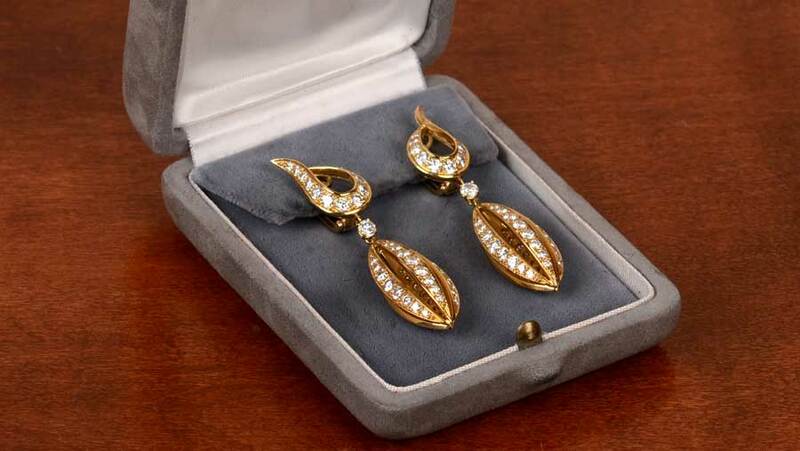 The Estate Diamond Jewelry Earring Collection features rare earrings from the Edwardian and Art Deco Era. Shop rare from the greatest jewelry houses of the previous century. Browse our collection of rare cocktail rings, gemstone rings, and dinner rings. Feel free to shop through the Estate Diamond Jewelry curated collection of Fancy Diamond Engagement Rings. 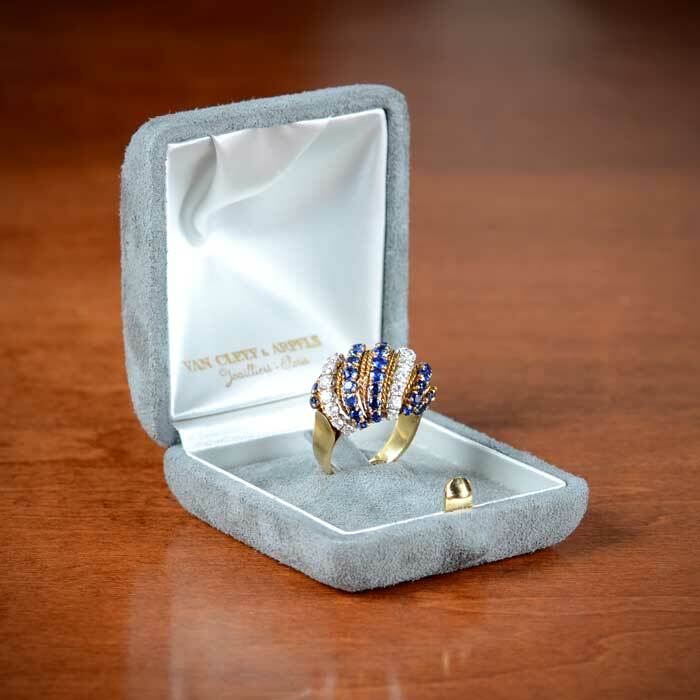 Discover our collections of signed vintage jewelry like Cartier, Buccellati, Tiffany and Co, Van Cleef & Arpels, and Bulgari. Here are some of the vintage jewerly pieces from our collection. The word vintage is almost everywhere these days, it seems. Fortunately, in the jewelry world, we have continued to apply the meaning to a very specific age. Any jewelry described as vintage will, quite simply, be less than 100 years old. Technically, anything less than 50 years old shouldn’t be described as vintage at all, but you do hear it happening. Anything over 100 years then transitions into being antique. But what is vintage jewelry exactly? And how do we know it is what it says it is? 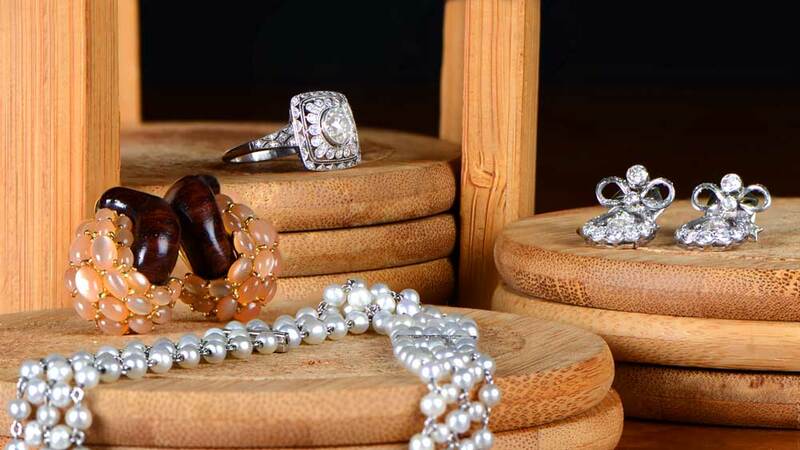 Apart from the physical age, there are certain other things which make a jewelry piece vintage. The style, the materials, the cut of the stones, all contribute to the vintage tag. Art Deco, one of the most popular styles ever, and still very popular today is almost all vintage in age. Some pieces are now creeping into the antique category but, generally, Art Deco means vintage. The advantage of this is that the Art Deco era produced many stunning examples of rings, necklaces and more. Improvements in designing, cutting and setting pieces meant quality and style went hand in hand. Skills that were previously the domain of a handful of craftsmen were now more widely available. Vintage jewelry shouldn’t be confused with retro jewelry. Retro is a term used for copies of older styles, and retro jewelry is almost always very modern in manufacture. The Retro Era, however, is vintage and ran through the 1940’s and 1950’s. 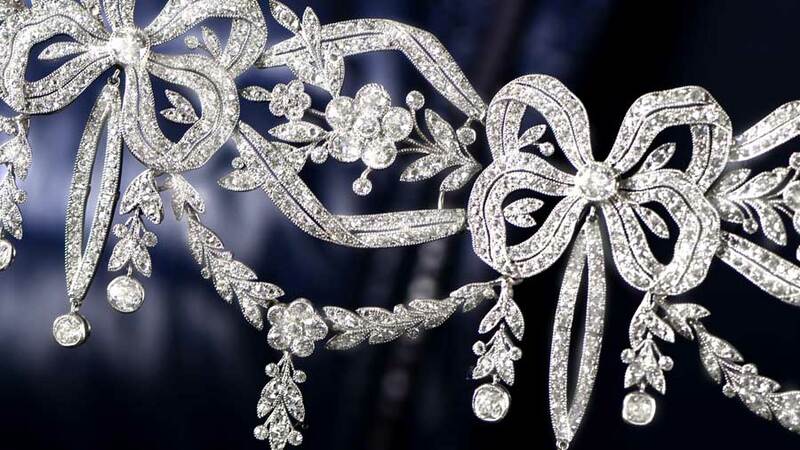 Apart from the obvious advantages of the style eras we associate with vintage jewelry, there are a number of reasons why it is such a wonderful thing to see and own. Until the 1940s, although there had been a great advancement in manufacturing techniques. Jewelry was still mainly for those with the right bank balance. It also usually meant that most jewelry produced before this time were one-of-a-kind creations. Mass production was still some way off, and a lot of jewelry was manufactured by a commission. Because antique jewelry carries a premium over vintage, and current vintage jewelry will increase in price. If any piece of jewelry survives to be 100 years old, it is usually because of the care it has received. It’s not exactly an investment opportunity to make you rich, but collectors will always be interested in the finest vintage pieces. Jewelers will always identify antique jewelry as just that. They are not always so rigorous about naming antique jewelry the same way. This is partly because it can be a slightly ambiguous term, and partly because there’s a chance that, if it isn’t antique, it will be vintage. Most obviously, look to see if a year of manufacture is available. These will rarely be definite, but many vintage pieces will carry a circa date. That will usually be enough. If not, check the cut of the diamonds, if it has them. 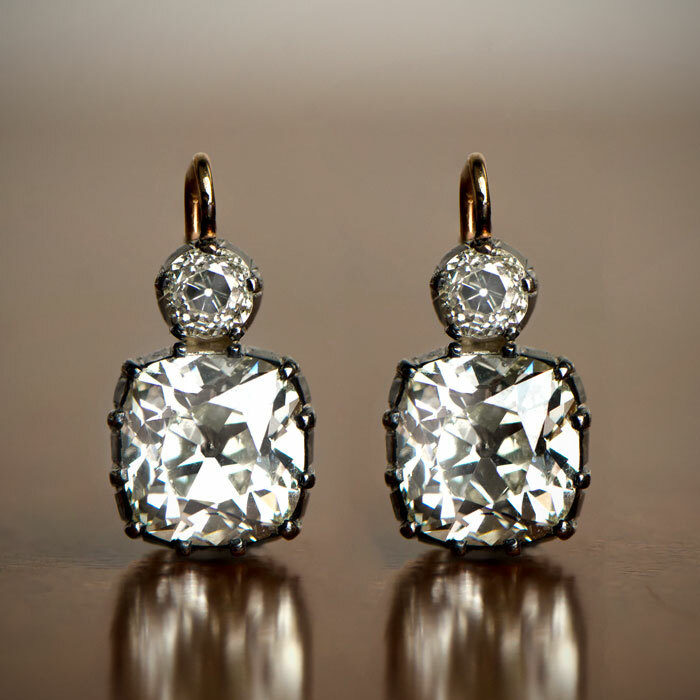 The old mine cut, or old European cut diamonds are usually a sure fire way of identifying vintage and antique jewelry. With the mechanization of diamond cutting techniques, more accurate cuts became possible. These, in turn, became the modern round brilliant cut we see today. 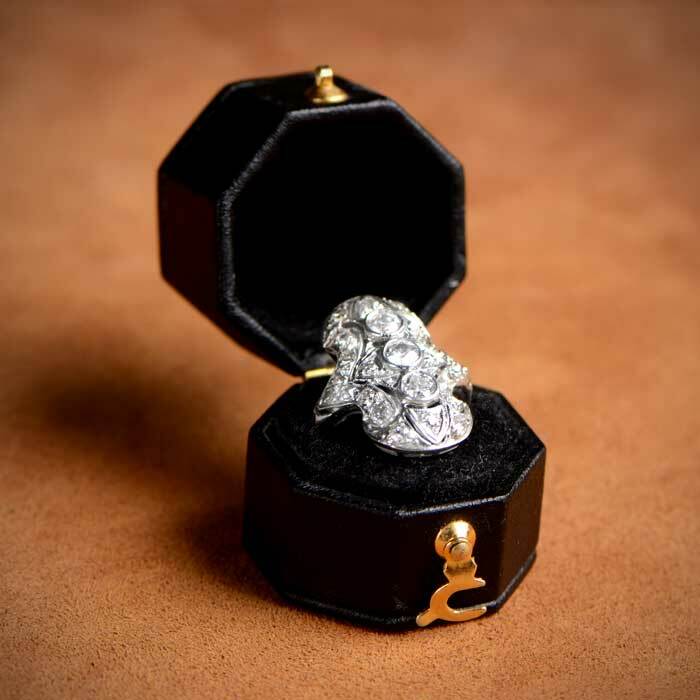 The grading of vintage diamonds is still very much a topic for debate, so don’t be afraid to ask the jeweler about the quality of the diamond. When looking at earrings, the method of fastening is often a good signal of age. The butterfly back common today didn’t appear until 1920, and the pinless spring clip was even later. Anything other than that is likely to be vintage, at least. Hallmarks will also help. If gold, silver or platinum is present, it might have the maker’s stamp. This will give the maker’s mark, the quality of the metal, the year of manufacture and the assessment location. Unfortunately, the US has no legal requirements for hallmarking, so there’s no guarantee the piece will have one. 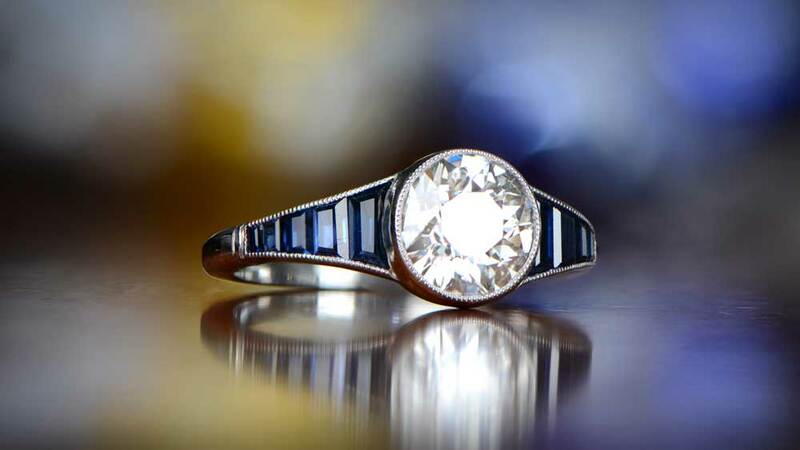 We’ve already touched on vintage jewelry becoming antique in time, and this will increase the price assuming the piece hasn’t suffered damage. But, there are more ways to see an appreciation than just reaching 100 years old. 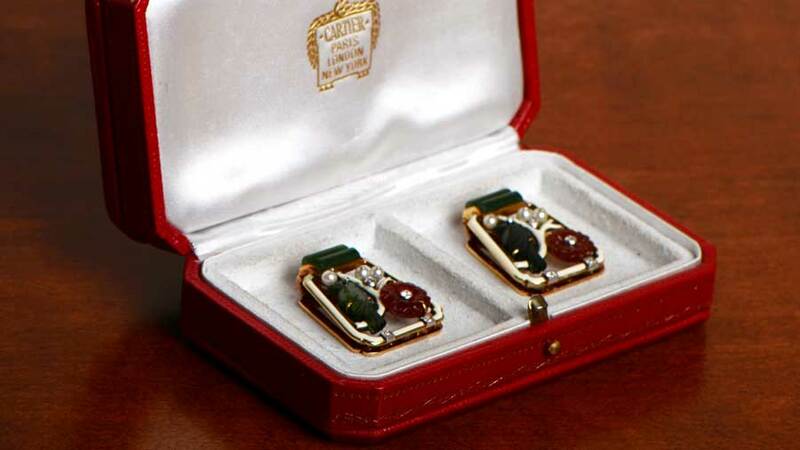 Many fine jewelry houses have been around long enough to have vintage and antique jewelry coming to market regularly. Companies like Van Cleef & Arpels, Cartier, Buccellati, Bvlgari, and Tiffany are all renowned antique designers and brands. Excellent examples of any will only ever appreciate in value, regardless of age. If the company has signed the piece, by putting a unique mark on it, the value increases further. Signed pieces also often carry unique numbers of manufacture. If few of a particular design are known to exist, having a signed example is important. It can make a huge difference to the value. The bottom line is that quality will always be in demand. Quality from recognized designers, even more so. If you have or are looking to buy vintage jewelry, consider the condition, as well as the apparent beauty. Some exceptional pieces will withstand a little minor damage or wear, but most won’t. Choose carefully and, above all, enjoy your vintage jewelry. You both deserve it.